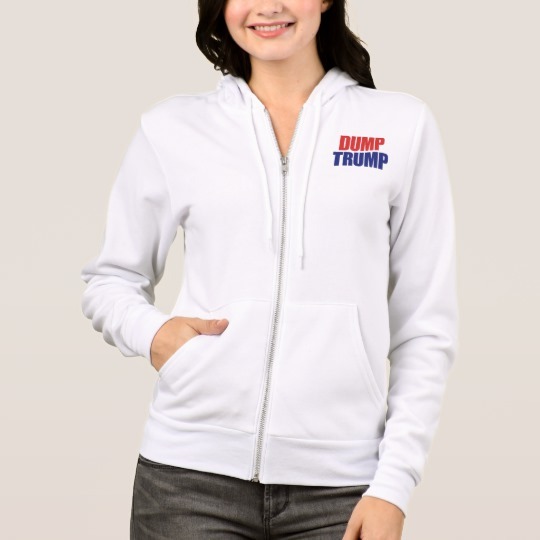 This incredibly soft and relaxed hoodie, spun from a plush poly-cotton blend, will quickly become your go-to essential. Perfect for everyday wear. Solid Colors: 60% combed and ring-spun cotton 40% poly fleece, 30 single 6.5 oz. Digital Fleece Colors: 100% poly, 32 single 6.5 oz. Neon Colors: 60% combed and ring-spun cotton, 40% poly fleece, 30 single 6.5 oz. 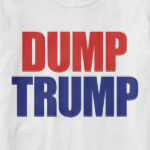 Red and blue lettering spell out the words Dump Trump. This is a play on words to flush President Donald Trump.